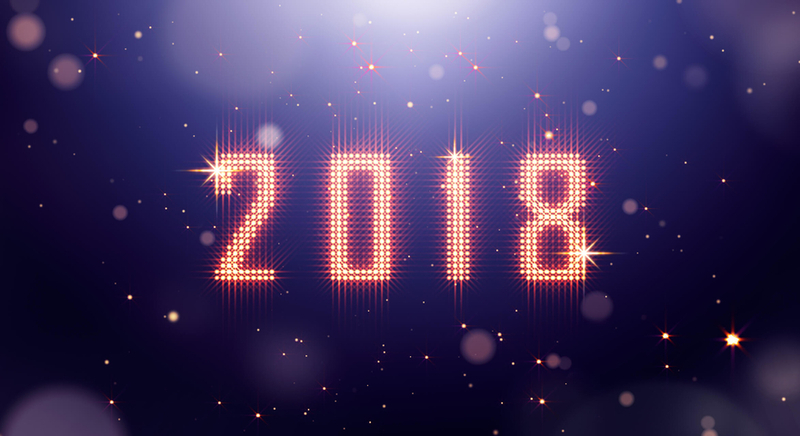 In the December 2017 issue of The DRMA Voice, Vice President of Business Development, Debbie Skerly talks about New Year’s Resolutions and the secret to following through on your goals in the coming year. Studies show that successful follow through comes when a goal is both specific and measurable. As a member of the DRMA Membership Committee, Skerly points to taking advantage of a DRMA membership as an example for setting a specific and measurable goal in 2018. Below is an excerpt of Debbie Skerly’s column within the Committee Corner section of the December issue. Though it is specific to the DRMA, this advice could apply to any company contemplating joining an alliance or association representative of their industry or niche. Attendance at DRMA shows and events is important for networking with other members and finding out the latest industry happenings. This December, set actionable goals for the events that you plan to attend in 2018. Be more ‘social’ at your socials – Whether it’s the MTC Expo or one of the many DRMA networking events, research the details beforehand. If there’s a specific hashtag, use it in your social posts leading up to the show and tag the event name or the show host. That awesome picture you took with your bestie? Load it to Instagram instead of just making it your cell phone background. Twitter and LinkedIn are terrific for finding other show attendees and making connections before, during and after you arrive! Having companies see that you are active in an industry alliance can really benefit you as they do their research. Make every meeting count – Don’t just think about who the perfect business prospect might be; look for industry contacts that could provide useful tools for growing your business. Also, don’t treat breakfast, lunch and dinner as a break from the show or event. The dining table can be a great spot for meetings to occur. Aside from connecting with show attendees, check your database for prospects or customers in the event area and schedule time to meet and build those relationships while you’re in town. Whether you are in fulfillment, production, media, campaign management, inbound sales or payment processing, you have a skill or trait that can benefit someone in this space. Take the time in the next year to set a goal on how you can make your voice heard and bring benefit to your fellow DRMA members. Get published – Are you comfortable writing? Look for ways to submit an article within the numerous communication realms of the DRMA, such as Response Magazine or the DRMA Voice. Speak your mind – Consider yourself a great public speaker? Challenge yourself to secure a speaking gig or information session at the MTC Expo or another special event. Even if you don’t get an opportunity this year you will learn the steps you will need to take for consideration at future events. Perhaps one of the greatest advantages of being a DRMA member is getting to know the many wonderful people. I’m always amazed at the camaraderie of the DR Industry. Everyone is always willing to share knowledge and help one another out. Seek a committee – I’ve had the pleasure of serving on the membership committee this year. The experience has been both educational and empowering. I’ve learned a great deal from my fellow committee members that directly impacts the value of my membership. Find a mentor, Be a mentor – As I stated above, this industry is full of amazing people. In my opinion, you can never have enough trusted advisors when it comes to doing business. But be sure that you reciprocate and share the knowledge you learn along the way as well. If you need a partner to help fulfill your product within the Direct Response space, we would love to speak to you about it! To download the full version of this story, check out the latest posts in The DRMA Voice.